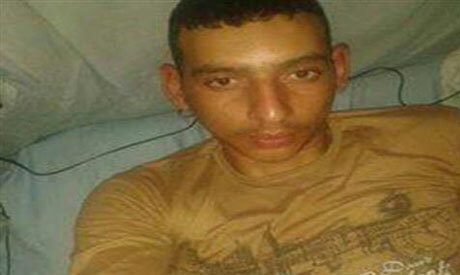 An army conscript who was pronounced dead after Saturday's terror attack by Islamist militants against army posts in North Sinai has been discovered alive, Al-Ahram Arabic news website reported on Monday. Mohamed Ibrahim Mostafa Moussa, 22, from Ra's El-Khalig village in Daqahliya governorate in the Nile Delta, was reported killed in a bomb attack against a security checkpoint on Saturday evening near the town of Sheikh Zuweid. Army and militants faced off for hours in several locations near the town after the attack. On Saturday night, the army announced four soldiers had died in the attack, then raised its death toll to seven on Sunday. However, late on Sunday, according to Ahram's correspondent in Daqahliya, Moussa made a phone call to his family to tell them he was alive, saying he was not at the checkpoint when the attack happened. Moussa's whereabouts during the attack remains unclear, though some media reports claim he was hiding in a trench. The young conscript will temporarily return home on "exceptional holiday," according to Ahram's correspondent. The army has not commented on the issue yet. Reports on actual events in North Sinai are difficult to verify as the army continues to battle an Islamist militant insurgency that has intensified over the past two years. In the past two weeks the Egyptian army carried out intense strikes against the insurgents' strongholds, which reportedly left more than 200 militant fighters dead, after Islamic State militants launched multiple simultaneous attacks against security forces earlier in July leaving at least 21 soldiers dead according to military reports.